Radiometer Copenhagen Model ABL800 Flex Blood Gas Analyzer . New Life Scientific, Inc. 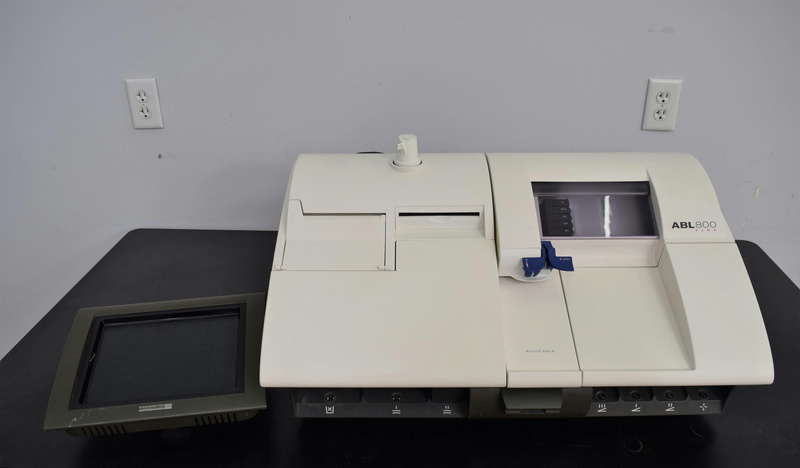 The ABL 800 blood gas analyzer is being sold for parts; it is a non functioning piece of equipment. Many goods parts are still on this device. Our on-site New Life Scientific technicians visually inspected and could not power it on. The monitor is broke off its stand that mounts to the equipment. Therefore it is being sold for parts.